Diego Costa made the perfect comeback for Chelsea with the opening goal against Hull City on Sunday. It seems typical of the controversial striker to court so much attention before doing his talking on the pitch. Antonio Conte dropped the Spain international for the previous game against Leicester, which the Blues won 3-0, after an alleged training ground row involving interest in the player from the Chinese Super League. While it all appears to have settled down for now, it’s still looking possible that Costa will leave in the summer. All the club are asking right now is that he doesn’t unsettle their title push any further. Of course, by the summer Costa may have changed his mind about a big-money offer from Tianjin Quanjian. 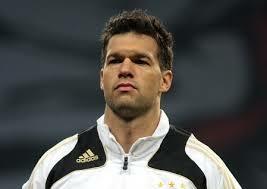 And former Chelsea midfielder Michael Ballack has urged him to reconsider if he is thinking of moving to the Far East. “It’s something you should really think about – where you play, what level you play, the audience,” he said at a Star Sixes tournament, per the Mirror. Ballack went out at the top, his last playing stint coming at Bayer Leverkusen – maybe a step down from Bayern Munich and Chelsea, but still in the Bundesliga. It remains to be seen whether Costa will do the same or whether the reported offer of £30million a year will turn his head again at the end of the season.